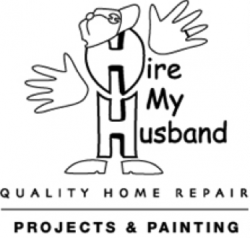 Hire My Husband Quality Painting & Home Repair was established in 2002 by Dawson and her husband Andrew. A previous career in the hospitality industry provides the customer service experience and renovation background that makes Hire My Husband a success. As demand for their services increased, the team of “husbands & wives” has grown to provide the right skill set for the job required.